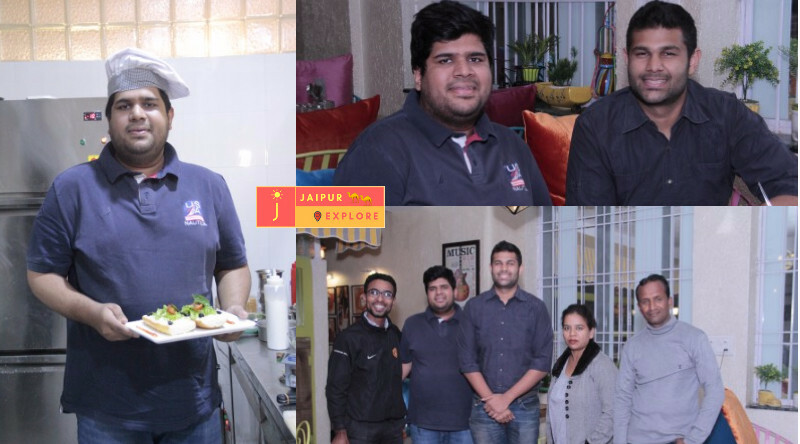 This restaurant is the idea of Chef Karan that are passionate about the food industry and decided to become independent and combine all their experience. The chef Karan has different skills that are being used to create the ideal restaurant and achieve the goal of opening a restaurant in which we ourselves would want to visit. Came to India with a dream in his mind. With more than 2.5 years of experience in the culinary industry started working as a chef at Switzerland. At that moment he discovered his passion for culinary, after a while, he left Switzerland .The difference was that there he could put in practice all of the tricks he was picking up at the other workplaces. After being in the food business for so long Concepcion had the dream of opening his own restaurant. Coincidentally, his brother Naman also shared the same dream. After some conversations, they decided to get into the business together. Karan that is experienced and specialises in Italian, Mexican menu. Started ‘The Urban Hub’ Restaurant in 2016, Karan & Naman took the decision of opening his own restaurant and make his dream come true. They Came to India with a dream in his mind. With more than 2.5 years of experience in the culinary industry started working as a chef at Switzerland. At that moment he discovered his passion for culinary, after a while, he left Switzerland .The difference was that there he could put in practice all of the tricks he was picking up at the other workplaces. After being in the food business for so long Concepcion had the dream of opening his own restaurant. Coincidentally, his brother Naman also shared the same dream. After some conversations, they decided to get into the business together. Karan that is experienced and specialises in Italian, Mexican menu. Started ‘The Urban Hub’ Restaurant in 2016, Karan & Naman took the decision of opening his own restaurant and make his dream come true. Karan and Naman grew up as the luckiest in the Jaipur Based Business family, They describe their childhood as “perfectly perfect”. Karan Says, After playing outside all day, they would run to the dinner table, where their mother would say something that later inspired their business: “Tell me something good that happened today.” “Rather than complaining about the day, commiserating about struggles or opening up the possibility of a fight, she focused everyone on the positive,” That optimism was something that our family always had, even when we had little else. 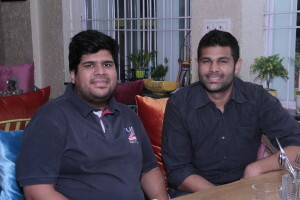 The adventurous brothers decided to open their Own restaurant when Karan came Back to India, where Naman was in College.Not only did they spend their days swimming, meeting friends, and playing tennis, Playing the guitar — they also discovered what to do with their lives: start a business together that let them be creative. Naman added; we would have gotten to such an open mindset where we’re thinking there’s no reason why we wouldn’t take a shot at starting a business together — even if it sounded a little crazy to some of our friends. The brothers knew youth, students could be a good prospect to target, and they are connecting with them. Karan & Naman added; our mother best motivator, She always taught; that if they listened to the doubters, they would also have to come back down to reality, take the safe route, and miss out on realising their full potential. So the brothers shortened that phrase to “Life Is Good,” Naman was hired to help his brother Karan open a restaurant called The Urban Hub in the city ‘Jaipur’.The brothers were ecstatic — they had finally found the message they wanted to share and people loved it. And the brothers attribute all of their Restaurant’s success to the contagiousness of their mission, “To spread the power of optimism,” which they learned from their mother early on. Karan Added; “We want to spread this message and help people understand the depth of what that means,” Naman said. “It’s not that life is easy or life is perfect. It’s that life is good. 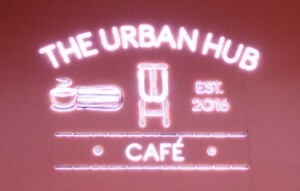 The urban hub, is it in Jaipur? Where??? The Urban Hub Located at 39, Pankaj Singhvi Marg, Lal Kothi, Jaipur.